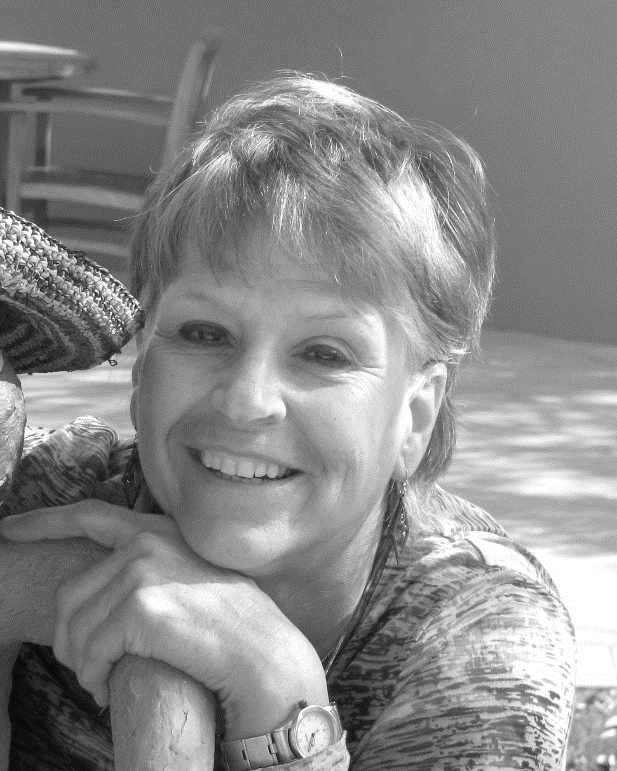 Dolores Albers grew up in Lander, Wyoming and attended Lander Valley High School where she graduated in 1967. She attended Casper College in Casper, Wyoming from 1967-1969 earning an Associate of Science degree in physical education. She then continued her education in Greeley, Colorado between 1969-1972 where she completed a Bachelor of Arts degree in physical education. Dolores’s first teaching job was in McClave, Colorado where she taught K-12 physical education and 7-8th grade science. She coaching gymnastics, basketball, and track and officiated gymnastics as a judge. In 1975, she moved to Green River and taught at Monroe Middle School for Tony Katana. She coached high school volleyball, basketball, and track. After teaching at the junior high level, she moved to GRHS to teach. It was shortly after that that she began initiating and developing the outdoor education program known as Lifetime Activities which she continued to teach until her retirement in 2009. Some of the things included in Lifetime Activities were golf, tennis, cross country skiing, rock climbing, repelling, backpacking, camping, bicycling, archery, snowshoeing, winter camping, riflery and horseshoes. Dolores received the Wyoming Coaches Association All Star Referee in 1989. She was named in the Who’s Who Among America's Teachers in 1996. She earned the title of Recreation Teacher of the Year two times and Outstanding Secondary Physical Education Teacher in 1994. She received the Pax Ricketts Award and was inducted into the WAHPERD Hall of Fame in 2011. She was also named the Central District Physical Education Teacher of the Year in 1994 and National Physical Education Teacher of the Year for the National Association for Sport and Physical Education. In addition to her many awards, she served on the recreation board for the city of Green River for several years and served as chairman for one year. She was chairman on the Sweetwater County United Way campaign for School District #2 for one year and was co-chairman for two years with Nancy Eklund. Dolores became active in the state physical education organization known as Wyoming Association for Health, Physical Education, Recreation and Dance where she served as president and vice president. She served on the middle and secondary school physical education council for two years, one year as chairman, and was a member of the selection committee for the National Secondary Physical Education Teacher of the year. While teaching, she pursued a massage therapy degree at Myotherpay College of Massage Therapy in Utah where she became a Certified LMT and practiced in Green River for eight years. In 2013, after 38 years in Green River, she sold her home and moved to Star Valley Ranch, Wyoming. She lives on a golf course with a beautiful view. In her retirement, she participates in golf, cross country skiing, snowshoeing, skiing, kayaking, backpacking, camping, bicycling, fishing and photography. 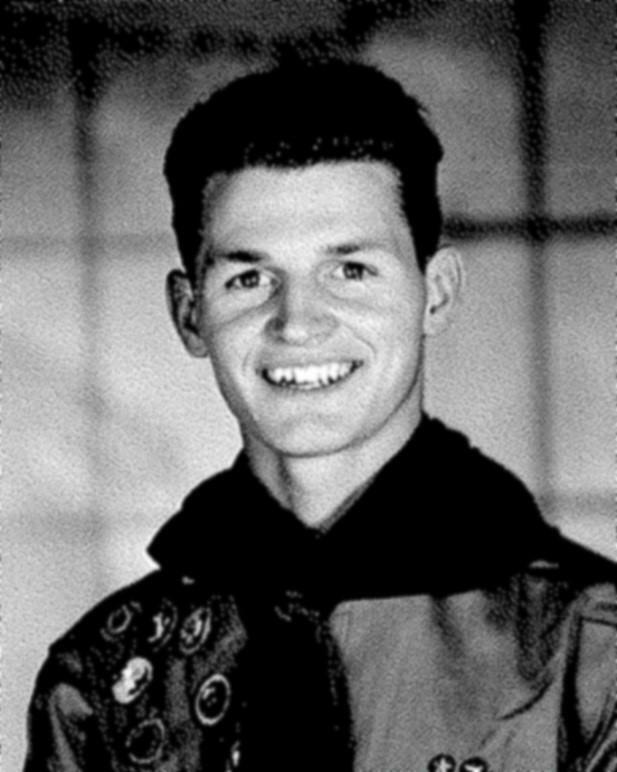 Alyn Beck graduated from Green River High School with the Class of 1991. Shortly after graduation, he served a mission in Brazil for his church. Upon his return, he attended the University of Wyoming where he met the love of his life, Nicole, and soon they were married. He graduated from the University of Wyoming in 1998 with dual bachelor degrees in Administration of Justice and Internal Studies (Economics). Alyn and Nicole moved to Las Vegas, Nevada where he entered the police academy and began his career in law enforcement in August of 2001. He became a field-training officer in 2006 and found his true calling as an outstanding trainer. He was trained in advanced skills such as duty to intervene and shoot-don’t shoot training for the blue on blue and mistake of fact type incidents. He was an advanced defensive tactics instructor and was a liaison to the Las Vegas Veterans Tribute Career and Technical Academy. Alyn helped organize lesson plans as well as protocols, policy, and procedures for response to multiple terrorist attack incidents. He developed testing and evaluation criteria for department wide MACTAC testing and organized and evaluated officers during live exercises. One young cadet recounted being very hesitant his first day on the job. He said Alyn took him under his wing and light heartedly joked with him in order to help him feel more comfortable around the older, more experienced police officers. Alyn knew how to make people feel relevant and important. That cadet is a now a sergeant and will never forget the influence that Beck had on him. In October 2007, he transferred to the police academy where he served the department as a training and counseling officer. Officer Beck was hand selected to lead and supervise 33 recruits of LVMPD academy class of 2009, the 100th graduating class. He was also specifically chosen by Assistant Sheriff Ray Flynn to conduct an internal affairs investigation of cheating that resulted in 11 findings regarding eight recruits and was given a commendable action letter by the internal affairs section for the investigation. He was specialized in numerous trainings including terrorism liaison officer, firearms instructor, taser master instructor, field force extraction instructor, and many more giving him a total of 1234.5 instructor hours. He received the LVMPD unit exemplary service award, two commendable actions, 13 letters of appreciation and numerous commendable contact reports. Alyn transferred back to patrol in 2011. He helped countless people and many of the calls for service likely ran together for him. A LVMPD employee tells of a man whose family called 911 a few years ago because he was going to commit suicide. He said Alyn was dispatched to the call and convinced him his life was worth living. He said Alyn saved his life that day and he will be forever grateful to him for his care and compassion. On June 8, 2014, Officer Beck and his partner, Officer Igor Soldo, were eating lunch at CiCi’s Pizza with the citizens that they protected every day. As they sat in their chairs, they were targeted and brutally ambushed because of their uniforms. These great men were executed in cold blood because of their dedication to protect and serve. A year earlier he was in the process of being promoted to the rank of sergeant and had successfully passed the written exam, career management review, live assessment center, and was preparing to undergo the written portion of the assessment center. His funeral was one of great honor and respect. The American flag draped his casket as Officer Alyn Ronnie Beck’s last call was made. Over 2000 people came to express their love and respect for this great man. The funeral procession filled the Smith Center for the Performing Arts and the overflow filled the streets of Las Vegas. 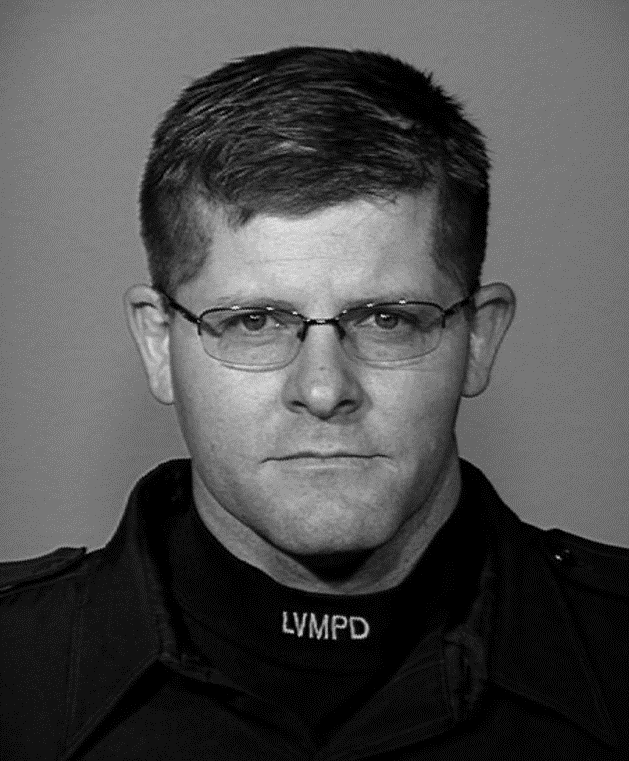 At the conclusion a “Missing Man” flyover was performed and the LVMPD Honor Guard Officers escorted the casket, participated in the flag folding ceremony while bagpipes played and hundreds of fellow police officers walked and saluted Alyn Beck. Jess Boyd Eskridge graduated from Lincoln High School in Green River in 1946. He served as the Senior Class President and was active in sports and earned nine varsity letters, three each in track, basketball, and football. He was involved in high school music and drama programs and also played in a small band, “The Three B’s” with two other classmates. This little “big band” played at a number of high school events during the mid 1940’s. He was offered a basketball scholarship to the University of Wyoming upon graduation but turned it down to join the Army and was assigned to the 11th Airborne in Ft Bragg, Georgia. He then served with the occupation forces in Japan. He returned stateside after his tour of duty and enrolled at UCLA. He continued his education at University of California Berkeley, where he received his bachelor degree in 1953. Boyd’s chosen field of study was optometry, and over the coming years, he continued his educational pursuits in discipline at Cal-Berkeley, the University of Houston, and Ohio State University. He completed his PhD at Ohio State in physiology optics in 1964. He accepted positions on the faculty at the University of Houston and Ohio State while undertaking his studies. He continued to work on the faculty of Ohio State for seven years after completing his education, then moved on to the Indiana University, and finally, the University of Alabama-Birmingham where he retired in 1990. Dr. Eskridge was named Professor Emeritus at the University of Alabama-Birmingham in the same year. All told, he served as a university faculty member for 36 years. He received many awards over the years, but just to name a few--American Optometric Foundation Fellowship, Distinguished Faculty Award, Outstanding Educators Award, Distinguished Lecturer, and Award of Excellence. During his time as a faculty member, he participated in over 400 state, regional, and national continuing education programs. Additionally, he produced more than 70 professional publications. He served on the board as a referee for numerous journals, and was active in the American Academy of Optometry. He served on the Board of Directors of the Optometric Research Institute, and he was a consultant to the industry and to the national board and several state boards. He also served as an optometric expert witness in several court cases. Dr. Eskridge was one of the founders who developed the modern day contact lens, and his co-authored work, Clinical Procedures in Optometry, was the standard clinical text in the field, worldwide, for more than a decade. At his death, the school of Optometry at the University of Alabama-Birmingham established a scholarship in his name, the Dr. Jess Boyd Eskridge/UAB School of Optometry Alumni Endowed Scholarship. In addition to his academic pursuits, Dr. Eskridge was active in his church and served in a number of positions of leadership. He retired to St. George, Utah in 2003 and passed away in February of 2011. 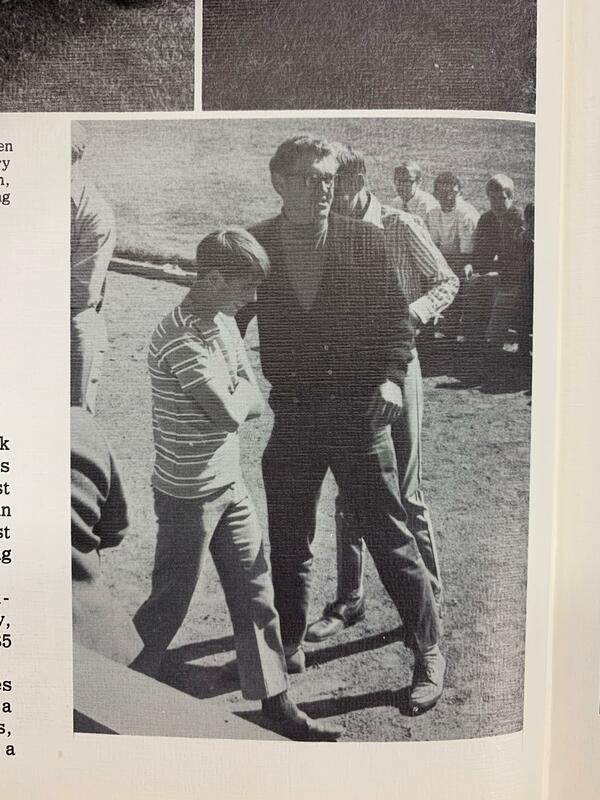 In 1967, interschool golf was added to the sports schedule. This team participated in tournaments in Lander and Casper and the state tournament, which was held in Worland. In 1968, they were able to golf their way to the number 15 spot in the state, which was held in Green River at the Rolling Green Country Club. 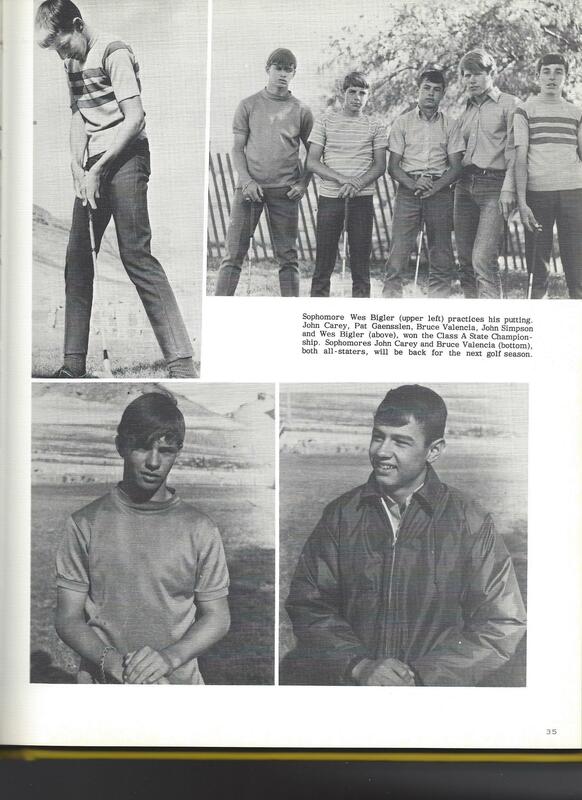 Finally, in only the fourth year of golf at Green River High School, the 1971 golf team took the State Class A Championship. The team players included Wes Bigler, John Carey, Pat Gaensslen, John Simpson, and Bruce Valencia. The team was coached by Larry Clause. At state, the team was led by Bruce Valencia who placed third with a two round total of 172 and John Carey shot a 177 taking fifth. Both made the all-state team by placing in the top five scoring. Carey, Valencia, and Simpson established a school record as they shot rounds of 85 during the tournament. Other tournaments that the Wolves participated in were invationals in Lander, placing fifth with a total score of 397 strokes, and in Rock Springs they placed with 386 strokes.